ProCAT, a leading provider of software, electronic stenotype, and hardware to the court reporting and closed-captioning industries, based in Calabasas, Calif., recently announced that Laurie Wilson has joined its team to handle accounts in Northern California and nationwide. The seasoned sales representative brings 27 years of experience from her previous position at Cheetah Systems where she was instrumental in acquiring and supporting numerous clients. ProCAT was the first company to introduce the first PC-based Computer-Aided Transcription (CAT) software. The purpose of this section is to provide newsworthy information on reporter related products and technologies. This column is for our readers to use in their research. 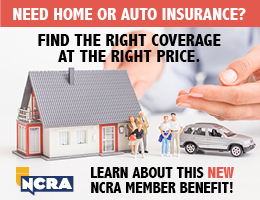 NCRA does not endorse or critically review these products and services in any way. The following briefs were provided by the companies and manufacturers. This section is a recurring feature, and the JCR invites parties interested in making announcements to send their news items to JCR advertising and editorial coordinator Amy Law at alaw@ncra.org. Acculaw has been in business for 28 years, and for the past 20 years, it has provided billing and scheduling software for agencies that want to manage their business in a more efficient and easier way. Acculaw’s recently released version of its software is now Web-based and compatible with the latest Windows operating systems. EZ Schedule, one of the software features, produces a printed schedule on confirmed and unconfirmed jobs for any date range, as well as job announcements for subcontractors via email, smartphone, or computer. EZ Invoice produces invoices, past due bills, and statements in each company’s own format. In addition, it produces commission amounts for a company’s subcontractors automatically. EZ Store produces content complete with descriptions such as ordered, completed, delivered, and notes from agency, client, and subcontractors. EZ Manage generates many reports, including by amounts, time constraints, and performance. 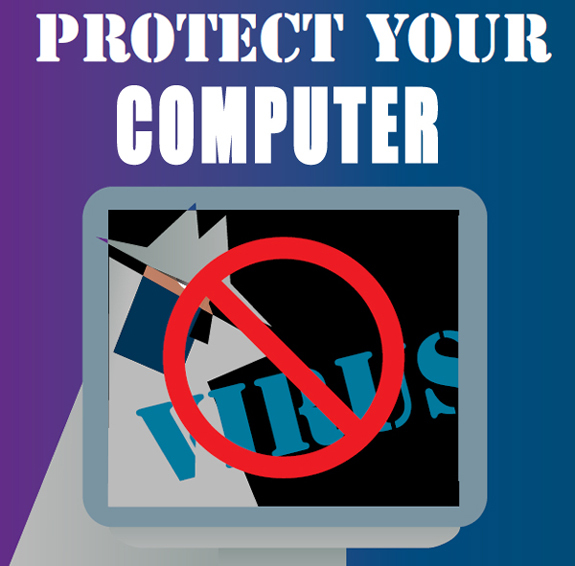 EZ Share uses free software to send compressed/encrypted content to clients. The Passport Touch, the newest innovation from Advantage Software, made its debut at NCRA’s 2013 Convention & Expo. The Touch offers a touch screen that can be tucked away while writing, a built-in microphone, a keyboard with adjustableheight vowel, and StenoMagic keys, not to mention sleek lines and a broad skin selection. In addition, the Touch allows the user to visibly track shadows and adjust the sensitivity of keys in the middle of a job. It has built-in Bluetooth and wifi, 32 GB of memory, and multiple audio backups for extra security. Advantage also displayed the Touch’s Re-Writer, which lets the user change antistacking and key-sensitivity settings even after writing a job – and automatically rewrites it with the new settings. Eclipse can run on a Windows 8 tablet that fits perfectly atop the writer. Finally, the Passport Touch comes with free software upgrades. Aptara will customize medical records summaries depending on the specific needs of the case or project and phase of litigation, ensuring comprehensive analysis. The College of Court Reporting’s ev360 Professional platforms offer students and working professionals an educationally sound and proven approach to skill and speed development. According to company representatives, v360 Professional is the product of more than 30 years of authentic court reporting educational practices. The platform was designed and developed by highly trained educators and professionals who are responsible for producing hundreds of successful court reporters and realtime writers. inSync Litigation Support unveiled its synchronized litigation support offering to the New York City area. inSync’s synchronized streamlined processes, which are aligned with a case’s lifetime and allow trial attorneys to remain focused on a winning litigation strategy, ensure better productivity and improved cost-efficiencies for plaintiff and defense attorneys, paralegals and legal secretaries at law firms, insurance companies, government agencies, and financial institutions. inSync’s offerings include process service, court clerical, investigations, efiling, concierge, customized services, and courier services, each available a la carte or as an integrated package. inSync covers the steps in a case’s lifetime by initiating the case and supporting all the essential filings and appearances. This includes buying an index number in court or electronically; serving a complaint or subpoena; filing an affidavit; tracking the case; conducting investigations, such as signups and skip traces; filing, copying and retrieving motions, notices, and judgments; and providing daily pickup and delivery services. MyRealtimeCoach simultaneously launched new Certifi cation Prep resources, Web videos, and monthly payment options at the NCRA Convention & Expo in Nashville. MyRealtimeCoach is designed to help reporters and students Start Smart, Build Speed & Accuracy, and Be Confi dent through effective practice. New features in the latest release include Daily Warmup, practice sessions served up each morning to start the day off right; Prescriptive Plan, a guided, six-week plan to prepare users for their next certifi cation; and mySpeedPath, a visual dashboard that helps you set and achieve your own goals. According to company co-founder Jared Carman, when Realtime Coach launched in 2006, myRealtimeCoach quickly became the single best way to prepare for a skills test, and now boasts thousands of members worldwide and more than 1.6 million hours logged. In addition, the company claims that 78 percent of those who pass a skills test have used myRealtimeCoach.com. ProCAT introduced the Impression II writer at the NCRA’s 2013 Convention & Expo. 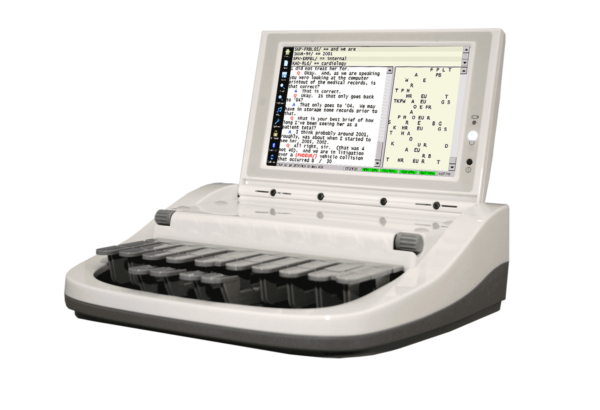 The Impression II writer offers a mini keyboard so that users can input global entries into the job dictionary directly on the machine without the need for a computer. The Impression uses a screen like an iPad — simply swipe a fi nger across the screen or double tap an outline to lineup either steno or English after searching. With shallow stroke and complete redesign of the keys, ProCAT has developed a light touch for the user. The Impression can use up to 64 Gig SD cards. The Impression II also offers hidefi nition stereo audio recording. In addition, ProCAT introduced Case- Pad, which allows users to send a realtime feed directly and wirelessly to an iPad. RB Web Mobile On allows users to give clients their transcripts and other information on their mobile devices. While it acts like an app on iPhones, iPads, and Android devices, it is actually accessed through the browser, making it easier for an agency’s clients to fi nd. Instead of searching through an app store, users type in a URL. They can then bookmark the page to their mobile device’s home screen. Whenever they click the icon, it opens what looks and acts like an app but is really a mobilized website. In addition to its low-hassle factor, it also requires less power to run than an app. Benefi ts for agencies include the lower cost of one RB Web extension versus one for each mobile OS (currently iPhone, Android, BlackBerry, and Windows Phone), and there are no installation, update, or maintenance issues. OMTI’s other court reporting business applications include RB offi ce management software, RB Web online offi ces including case repositories, a PDF transcript creator, and mobile apps. Stenograph announced three new color options for its top-selling Diamante – Blue My Mind, Black to Basics, and Totally Red-ical. These stylish colors, along with Lunar White, make up the writing machines’ current color choices. The Blue Ice and Platinum Gray Diamante writers will still be available while supplies last. “Already on the market for the past four years, the Diamante has proven to be one of the most dependable writing machines Stenograph has ever produced,” says Judy Wolf, Stenograph’s product manager. “Time and time again we’ve heard users of the Diamante experience cleaner writing, higher productivity, and decreased errors and less fatigue at the end of the day.” Current Diamante owners may modify the top shell and lid of their writing machine to one of the new colors by contacting the company for further information. The Varallo Group offers a network of first-rate reporters to cover tough assignments anywhere in the world, according to company representatives. The Varallo Group’s suite of business development services also can help secure a brighter future within budget. The company’s business advisors present solutions to increase their clients’ bottom lines. As a company founded by court reporters, The Varallo Group understands both the current needs of the clients of court reporting services and the tools they’ll need to grow and evolve in the future. The Varallo Group provides agency management services, administrative support, business development strategies and training, website development, and online campaigns that compliment and strengthen individual efforts. Freelance reporters and fi rm owners alike can grow their business – or enjoy some well-deserved downtime. Specializing in networking agency- to-agency assignments, The Varallo Group’s reporters offer clients the utmost professionalism by delivering the deposition or trial transcript services, whether interactive realtime or draft transcripts, expedited delivery, videography, and expert testimony. At NCRA’s TechCon held in April, members of the association’s Technology Evaluation Committee conducted interviews with the exhibiting vendors to learn more about their products and services, and plans for the future. Below are the highlights from each interview. About the company: DepositionConferencing.com is based in Florida and has been in existence for nearly a decade. It is primarily a provider of audio conferencing bridge services with a focus in the legal arena. What differentiates them from other companies is that their billing practice invoices the participants in a case and then pays a commission to the court reporting firm that has arranged for the company’s services. The commissions are paid immediately even before invoices are paid by the participants. Products/Services: To use Deposition Conferencing.Com services, companies sign up for an account and are provided a participant code when they refer clients. To monitor the number of participants in a call, the company provides each reporting firm and the law firm or client with a toll free number and then compares a call report with the reporter’s list of who was attending the deposition by phone. Currently Deposition Conferencing is focused on growing its legal business and is in the development stages of producing a Web-based streaming service with plans to unveil the new service at NCRA’s Convention & Expo in August. The goal is to make it easy for both reporters and attorneys to do business while maintaining its current billing to the remote participants and paying commissions to the reporting firm that arranges for the deposition. The new service will allow users on the receiving end of the stream to use their choice of browsers or an iPad app in order to remotely participate in the deposition. To secure ownership of the transcripts, users will be allowed to make marks but not able to save them for the participants to view. Several members of NCRA’s Technology Evaluation Committee expressed concerns that some clients will want to maintain the information they have added to the text, even if it’s highlighting, and recommended that there be a save/ no save option. Users will dial in for the audio, making it separate from the video, to ensure a fail-safe solution. Limiting the bandwidth used by the service will avoid conflicts with others streaming video on the law firm’s network. Security will be encrypted streaming. Because DepositionConferencing.Com doesn’t believe that wireless will ever be able to compete with the performance of hard-wired connections, the company recommends all users to be hard-wired where possible, to prevent relying on the vagaries of wireless communication. Its base product is planned to be one-way only — not video back and forth — due to the bandwidth challenges that may be present depending upon how all participants are connecting to the service. DepositionConferencing.com urges NCRA to encourage their members to embrace and accept technology and better educate their clients on what court reporters do as well as what services are available. For more information about Deposition- Conferencing.com, visit www.Deposition Conferencing.com. About the company: eDepoze is based in Irvine, Calif., and provides litigation software that enables depositions using electronic exhibits through an iPad app interface. The product, designed for attorneys by attorneys, retains the benefits of the paper exhibit process but provides a method for taking depositions using electronic documents, which can be introduced and shared either locally or remotely. Products/Services: The company has been in a limited release mode but is about to make its general public release. Reporting firms will resell the eDepoze service to their clients on a per-deposition basis. Once the reporting company sets a user up with access to eDepoze through their personal branded website, users can operate the entire process themselves. Reporters can have as little or as much interaction with their clients as desired. Before a deposition, users review and determine which documents they may want to use as exhibits, set up a new deposition session on the eDepoze system, then upload their potential exhibits in PDF format to that deposition session via eDepoze’s cloud-based repository. Users then conduct the deposition using the eDepoze iPad app. Exhibits are introduced one at a time by marking them with an electronic exhibit sticker, then sharing the exhibit with everyone logged into the deposition session. Once an exhibit has been introduced, each participant can review and annotate his or her own personal copy. The witness also can annotate exhibits, and the annotated version is captured directly from the witness’s iPad so it can be introduced as a standalone exhibit. Users do not have access to each other’s personal documents. Since the documents are stored on the cloud, eDepoze members have immediate access to the official exhibits that have been marked and introduced at the deposition. Guest users (who do not pay for the service) will not be able to access the exhibits at the end of the deposition. Once a deposition is z the official exhibit folder for the deposition. In addition, he or she can download and zip the files and email them to other participants. The files are also available as individual PDFs and can be linked in a number of litigation support products. eDepoze is in the process of releasing online tutorials, certain of which they would like to share with NCRA to link back to their website. In the coming year, the company plans to integrate its service with a variety of other products available in the reporting profession, such as trial presentation and realtime sessions. For more information about eDepoze, visit edepoze.com. About the company: Integrated Realtime was started in 2013 and is based out of New York City. The company provides turnkey hardware/software solutions to both reporters and agencies that either do not feel tech savvy enough to put all the pieces together or do not have the time. The product was designed in response to a gap between a reporter’s skill set as a reporter and his or her skill set as it relates to technology. Integrated Realtime’s goal is to build a business that relieves reporters of the stress of hardware/software selection and implementation. The company’s Integrated Realtime kits can be purchased, leased, or rented. Products/Services: The company markets its realtime kits to reporters throughout the United States. Its onsite technical support is focused on the New York City area with planned expansion to include other major metropolitan areas. The company can also serve as a remote IT department for small- to medium-sized reporting agencies or individual reporters. The company queries potential clients on the types of software they use, such as CAT, realtime, etc., and then configures the hardware and installs the software on the client’s laptop or iPad, configures the routers, and provides the reporter with a realtime solution just about out of the box. Integrated Realtime normally provides the laptops and iPads so that clients don’t have to use their own. The company has also standardized the hardware it uses in its realtime kits, and can also modify hardware to the specific needs of a user, for example, running an Apple Mac or PC-specific CAT applications. Integrated Realtime also provides training separate from the training provided with its realtime kits. The company’s goal is to be recognized as the reporting profession’s system integrator and is interested in partnering with real time service providers to serve as the integrator of software, hardware, and service, to ensure all systems work together seamlessly. Security is also a concern for the company, and it is implementing best practices as it integrates hardware, software, and realtime service. Integrated Realtime is willing to provide NCRA with documents that can be linked back to its website to assist reporters interested in using its services. For more information about products and services, visit www.Integrated Realtime Solutions.com. No software downloads: The only requirement to join a live deposition is a high-speed Internet connection. 100 percent Web-based solution: Depositions are instantly conducted in realtime with anyone, from anywhere, at any time. Simple deposition scheduling: Built-in invitation tools allow deposition hosts to easily send an email containing deposition details, such as URL, date, and time. Multiple platform and browser compatible: Service works on PC, Mac, and Linux machines, plus apps are available for Android and Apple mobile devices. Live video feeds: No bulky external hardware components are required to stream video in realtime. Video can be broadcast through a common web camera. Audio broadcasting: Attendees can listen to what an interviewee is saying instantly through built-in VoIP or Toll-Free Conferencing. Streaming transcription text: As information is entered into a steno machine, the data is formatted and displayed in real time within the deposition room. Secure instant messaging: Private Group Chat feature allows instant feedback from team members or anyone connected to your group. Built-in collaboration tools: LiveDeposition.com gives clients the ability to load and view exhibits in realtime, so everyone is on the same page no matter their geographical location. For more information about products and services, visit www.livedeposition.com. About the company: ProCAT is a leading provider of software, electronic stenotype, and hardware to the court reporting and closed-captioning industries. Founded in 1982, the company is based Calabasas, Calif., and introduced the first PC-based computer-aided transcription software. Products/Services: The company’s new Impression writer is considered one of the most technologically advanced portable realtime writers. New enhancements include increased processing power to allow for the ability to translate and to provide remote CART and remote depositions from the writer via a wireless router to an attorney’s PC. Other enhancements include the ability to import existing transcripts and dictionaries onto the writer and customized keyboards similar to other CAT products designed to aid with simple transitions by new users of the Winner writer. Recent upgrades to the Winner writer software include dual channel audio, which allows individual microphones to be set up for the witnesses and the attorney, enabling the reporter to separate the channels and listen independently when two parties speak over one another. Users also have the ability to email transcripts created with software dating back to 1997 and the ability to store files directly to Google Drive and SkyDrive. ProCAT has announced enhancements to its Winner Vox that will include the ability of a reporter to switch between stenographic and vox. For more information about products and services, visit www.ProCAT.com. About the company: RealLegal provides transcript management tools to court reporting firms, freelance reporters, official reporters, courts, and law firms. Developed with input from both court reporting and legal professionals, these distinctive products fit into the unique workflow of the litigation process. The result is greater efficiency, lower costs, and more opportunity for real growth. The company is based in San Francisco, Calif., and is owned by Thomson Reuters. Case Notebook, which allows attorneys to organize, analyze, and collaborate transcripts, exhibits, and video clips received from court reporters into an electronic case file. RealLegal is working to increase the awareness of professionals in the litigation arena about the products and services it offers, including free, unlimited training, support, and upgrades. The company recently released enhancements to its iPad and iPhone viewers to allow access to electronic files, and Etrans V9, which can create searchable PDFs. Watch for additional new product and service launches later in the summer. For more information about products and services, visit www.RealLegal.com. About the company: StenoCAT is owned by Gigatron Software Company, based in Irvine, Calif., and delivers the latest in court reporting software designed to work with nearly all writers on the market. Products/Services: StenoCAT is currently working on a new realtime browser that will be designed to work with any mobile device including iPad and Android devices. The product will be Web-browser based for application in a LAN environment. StenoCAT also has developed a steno machine iPad app called “iStenoPad,” which is free of charge and can be downloaded via the iTunes app store. A dictionary can be added to the new app, and it can be connected to a CAT system with an addon purchase of iStenoDock for realtime and file transfers. A keyboard overlay is also available for purchase to help users with key touch. While the company has no plans to create a repository for reporters, its software works well with Dropbox and SkyDrive. The company also offers instructional videos and files on using either Dropbox or Skydrive with its software and is in the process of creating additional educational materials such as videos and tutorials covering such topics as networking. Some popular features of StenoCAT are the new SmartBriefs, seating charts, autosave, integrated address book, Internet search capability, and PDF with digital and/or electronic signatures. StenoCAT charges an initial start-up fee for new users, plus a first-year subscription. After the first year, users can renew their subscriptions on a one-month, three-month, six-month, or one-year basis. For more information about products and services, visit www.StenoCAT.com. About the company: Stenograph was founded more than 75 years ago and is considered a leading supplier of productivity tools for the court reporting profession, including the developer of shorthand writers and computer-aided transcription software. The company is based in Elmhurst, Ill.
Products/Services: Stenograph is currently beta testing a new product designed to use a wide area network and allow CVN to work over the Internet for users of its CATalyst software. The product is intended to stream realtime text to either a remote attendee, or it can be used on-site. The easy-to-use new product requires users to select their output to CVN in CATalyst, and enter a realtime stream access code that could be purchased on a weekly, month, or yearly schedule. The company is also moving toward open standards so that CAT transcripts could be opened through Open Office. In addition, Stenograph is working to identify ways to encourage more people to become court reporters, including finding ways to get students through school quicker and pushing steno games to potential students to help increase interest in the profession. For more information about products and services, visit www.stengraph.com. About the company: Visionary Legal Technologies is a legal software company that offers powerful, easy-to-use trial presentation software, and trial presentation services. Based in Addison, Texas, the company developed Auto Syncing, which uses voice recognition technology to sync deposition transcripts to the deposition video for use in trial presentation software. Products/Services: Visionary has 16 products designed to aid the litigator from discovery through appeal. Currently, the company is reviewing how to integrate their products with tablets. Among the products Visionary offers is VPrint, which uses secure digital signatures in documents and password-protected PDFs for e-filing of appellate transcripts; REDI for courts, a synch product that produces transcript plus audio; and V-Net, a repository product that includes transcripts with hyperlinked exhibits, and access to video/audio. Visionary Legal Technologies also offers LiveFeed Remote, a streaming product that works with all known steno providers. The company currently offers a variety of Web-based training materials on their company website, in addition to offering training services for a fee. For more information about products and services, visit www.Visionary Legal Technologies.com. About the company: YesLaw is based in Santa Clara, Calif., and provides repository, transcript production software, and synchronization services to professionals working in the legal arena, including freelancers and firm owners. Products/Services: YesLaw provides YesLaw Online, a unique cloud-based website that allows users to upload video, transcripts, and other documents. Users of the service can view deposition transcripts, linked exhibit documents, and synchronized video, as well as highlight, annotate, and make video clips of important transcript passages. The YesLaw Online toolset provides always-available access to search and review case content by Web browsers and mobile devices. The company is serious about the issues of security and confidentiality and maintains all client data in an encrypted format stored in a secure facility. Modes of delivery of transcripts and other documents are also safeguarded by delivery through the cloud. YesLaw offers an array of written educational materials in PDF format geared toward attorneys, as well as a variety of product-specific material. The company is interested in providing links to the NCRA website to provide members with easy access to educational materials, and has offered NCRA the opportunity to host YesLaw training videos. Currently, the company is providing a variety of solutions with other vendors to integrate their products and services into the YesLaw production software. For more information about services and products, visit www.yeslaw.com. This article was produced on behalf of NCRA’s Technology Evaluation Committee. ProCAT introduced the Impression, its newest writer, as 4.5 pounds of power. ProCAT wanted to introduce a new keyboard for clients and felt it was time to do away with the old metal arms under the keyboard to make writing as comfortable as possible. The Impression has a very light touch and a shallow stroke, which is easy on your hands and wrists. Visit http://procat.com/impression to compare the Impression to other writers.